Chromium is a mineral that the body needs to function properly. It is found in foods such as broccoli, barley, oats, potatoes, tomatoes, romaine lettuce and grape juice. Most people get enough chromium in their diets. 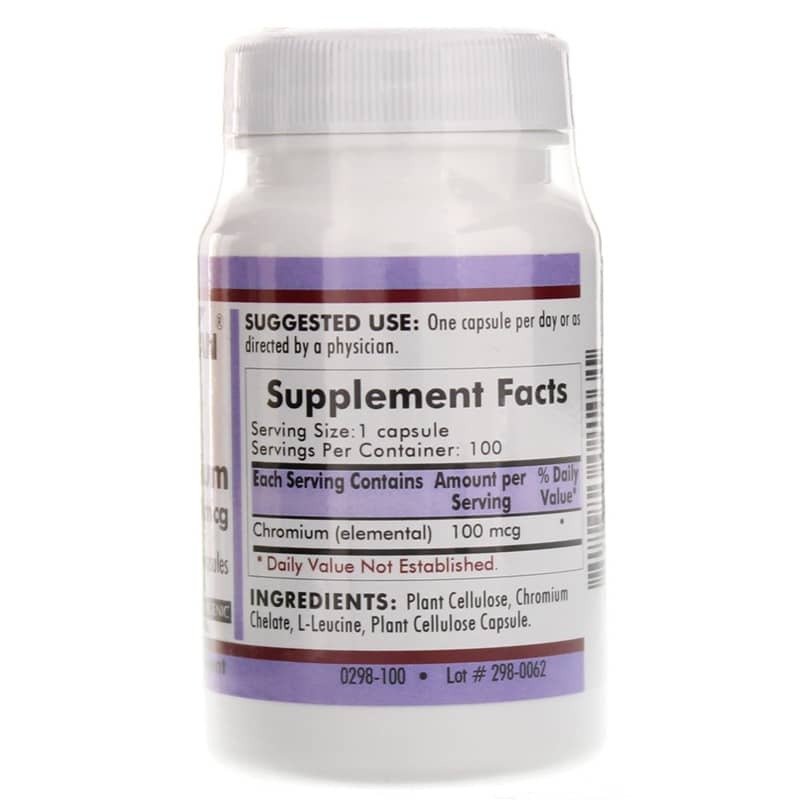 For those who are unable to obtain adequate levels from food or who have a need for more, chromium supplements are available. 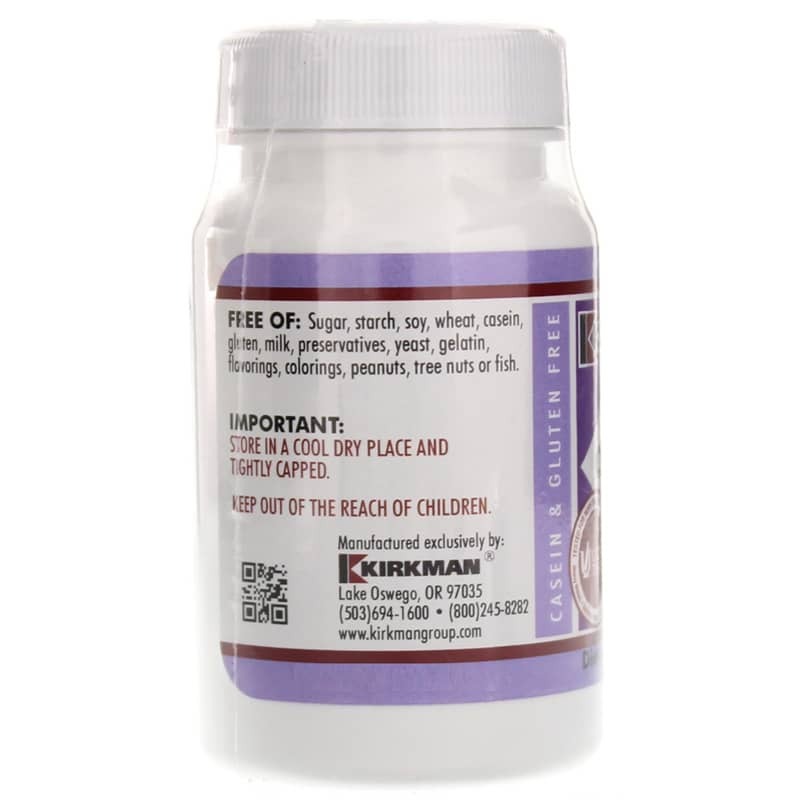 Kirkman offers a hypoallergenic product called Chromium 100mcg that provides supplementation of the trace mineral chromium. This supplement was tested for more than 950 contaminants, including heavy metals, bacteria, yeast, mold and pesticides. It contains no sugar, soy, starch, wheat, gluten, casein, milk, yeast, gelatin, peanuts, tree nuts, fish, colorings, flavorings or preservatives. 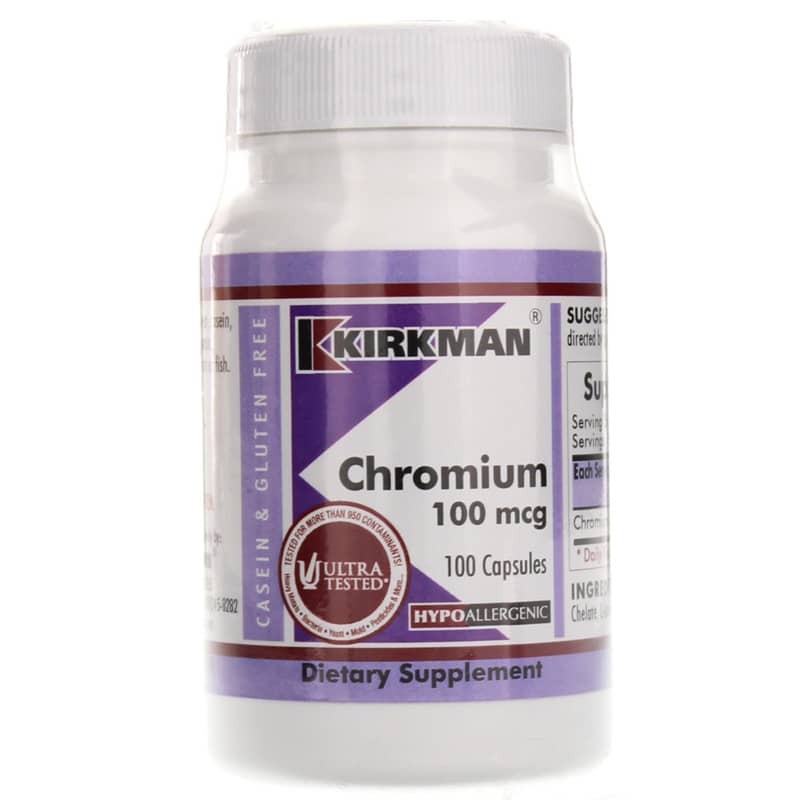 If you're looking for a hypoallergenic elemental chromium supplement, check into Kirkman's Chromium 100mcg. Order online today! Ingredients: Plant Cellulose, Chromium Chelate, L-Leucine, Plant Cellulose Capsule. Contains NO: Sugar, starch, soy, wheat, casein, gluten, milk, preservatives, yeast, gelatin, flavorings, colorings, peanuts, tree nuts or fish. Adults: One capsule per day or as directed by a physician.